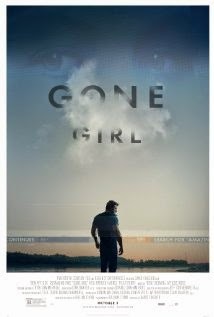 GONE GIRL is a great, twisted thriller that will keep you interested and guessing and creeped out for the entire 2 1/2 hours. I was nervous about the length of this film going into it, but it really doesn't feel as long as it is. Affleck does a masterful job as "the most hated man in America," and we all owe a great debt of gratitude to the powers that be that made a last second edit to the movie so we don't have to see Ben's "little Affleck." (Rumor has it, he went full frontal for this film, but that was only shown in the early screenings). Rosamund Pike's character seems stiff and almost Stepford Wife like for most of the film, but as the movie unfolds her character becomes much more in-depth and complex. This is a thriller that will stay with you for a while. Any married couples that see this may be sleeping with one eye open for a few days. Reese has a busy weekend. She is one of the producers of GONE GIRL and the star of this mediocre film about an incredible story. This is one of those rare occasions where the story is so important that it outweighs the fact that the movie just isn't that good. There are some big plot holes and the pacing is all over the place, but the story makes it worth enduring. I will say that for a low-budget film it was better than I expected it to be, but it's only slightly better than a made-for-tv movie. It's worth seeing, but you'll be fine saving some money and waiting for the DVD. 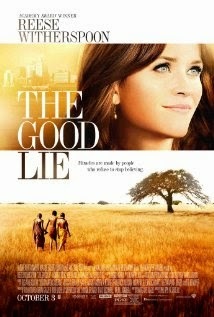 I had the opportunity to go to the Red Carpet Premiere of THE GOOD LIE. You can see the video of the evening here. Plot: A couple are haunted by an evil doll. 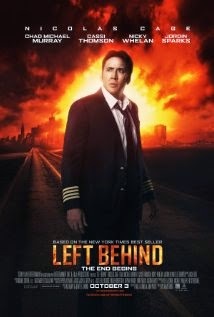 This film is one of the most inane, ridiculous, slow, non-scary horror flicks I've ever had the misfortune of watching. It is excruciatingly slow throughout, the "scary" scenes only made the audience jump because the music got really loud, and the long shots of the doll doing nothing trying to make you feel that it is creepy are just boring. I'm not trying to spoil anyone's movie-going experience, but at one point in the movie the family throws the doll away and moves to a new city and the doll follows them. Are you kidding me!? If you wanted to see something scary, you should have looked at my eyes rolling back in my head when that happened. 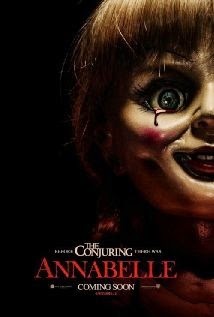 ANNABELLE is a horrible start to the month where we will hopefully get a couple of good, scary flicks. Plot: A group of people struggle to survive after millions of people vanish in the rapture. The studio did not show this to reviewers. I will try to get to the theater as soon as possible to see it and write a review.